Uber is a mobile app that allows people to travel, or to transport others, in private cars for a fee, rather than using regular taxis. It is a bit like a private taxi. What Do People Gain from uber? The driver of the car makes money for each passenger he picks up, and the user, or passenger, usually gets reduced rates compared to taxi rates (see more on rates below). Uber was launched in America in 2011, spread to other countries around the world, and then opened in South Africa in 2013, initially only in Johannesburg, and after a six week testing period was added to Cape Town. Uber is actually pretty simple, which is part of its appeal. You download the app and register as a driver or a passenger (for drivers the process is a bit longer). Users will need to enter their credit card information, as all money goes through Uber (there’s no exchange of cash between driver and passenger). Once a user wants to call for a ride, the drivers that are located closest (based on the GPS location on the customer’s and driver’s phone) are notified, and the app connects the user and the driver. It’s really that easy. Passengers decide on a price package (with different packages pricing kilometres at different amounts) before getting into the car, so there is no need to negotiate with the driver about costs. You will know how much you are paying per kilometre before getting into the car based on the package that you chose at sign up. As a passenger this means that you have the convenience of getting the closest vehicle – no more waiting around for a taxi to arrive! Plus, you don’t need to carry cash, and can get a ride even if your pockets are empty. Additionally, many companies in South Africa are integrating Uber into their services, including insurance companies. For example, Discovery Insurance gives discounts to customers who use Uber, and should you be in an accident and unable to drive then the company will also give you a budget to use for Uber trips. There are three main areas of controversy regarding the Uber service which seem to occur wherever Uber launches. The first of these was criticism about Uber drivers not being vetted properly by the company, which brought up safety concerns (particularly for single female passengers, but not only). For example, an Uber driver in Chicago was charged with assault after hitting a passenger during an argument. This is just one of many bizarre incidents. To be fair though, there is some sort of vetting done by the passengers themselves, who rate the driver after each ride – so technically users can select only those drivers who have high ratings, thus increasing the chances of a smoother ride. The second controversy has been the resistance of local taxi drivers who feel that their jobs are being taken away, despite Uber’s urges for them to join the company. As occurred in many other cities around the world, Johannesburg taxi drivers have campaigned against the service, saying that Uber drivers have an unfair advantage seeing as how they are not regulated. The third issue has to do with the regulation, or lack of it, of the service which may very well be the cause for the lack of clarity and tension mentioned above. In January, 2015, Cape Town police impounded 65 cars that were part of the Uber service, saying that the drivers didn’t have the correct permits to provide driving services. Uber and the municipalities of both Johannesburg and Cape Town are in the process of discussing whether Uber drivers should be required to hold special licenses, such as those held by taxi drivers (see more about licenses below). Despite these issues, Uber has been popping up all over the world, so it seems that these controversies are not affecting Uber’s expansion. When it comes to cost, Uber tends to be averagely priced, though you don’t need to tip an Uber driver. For passengers, all you need to do is download the app and you can use an Uber car whenever you like. There’s a R5 base cost for every ride, and a cost of R0.75 per minute plus R7.50 per kilometre (so that both travelling time and waiting time, such as in heavy traffic or at traffic lights, can be taken into account). The minimum fare is R20 [based on information from July 2015]. How Does the Cost of Uber Compare to other Taxi Services? If you’re comparing the cost of using Uber to the cost of using a taxi, then prices are pretty average. 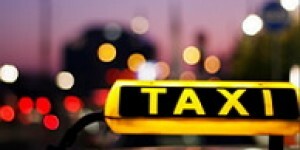 There are both cheaper and more expensive cab companies, according to a comparison done by Moneyweb. As an example, using the basic Uber service for a trip from Sandton to Soweto should cost you about R478. The cheapest cab fare for that distance is around R400, whilst the most expensive is around R500. As you can see, Uber is priced fairly competitively in the middle. If you want to sign up to be an Uber driver, you simply go to the Uber Driver Sign up page where you’ll be asked to provide some details about yourself and create an account. This takes about 3-4 minutes. Following this, an Uber representative will contact you and provide you with further instructions and in some cases request the appropriate driving documents (such as your license). They’ll let you know when you’ve been approved, then you download the Uber app and you’re ready to go. Is it Profitable to be an Uber Driver? The two main advantages of being an Uber driver are said to be the additional profits and the fact that you are your own boss. As for being your own boss, well, that always sounds great, but there are also downsides to driving around all day alone, and if you really want to make a profit, you’ll usually need to adjust your schedule to peak hours – so basically the passengers are the ones telling you when to work. Then again, no one forces you to do so there definitely is that element of independence. As for making additional profits, the answers are divided. Some say that if you are calculated, know when and where to work and drive around a lot anyway, then a profit can be made. Others claim that it isn’t that easy, due to many factors that are often overlooked. These include the fact that you will need to change your car insurance policy to a commercial one – that includes driving your car for business purposes (something that not all policies cover automatically), fuel consumption (which is influenced by the way you drive and at what hours) and the wear and tear on your car (including repairs, value depreciation due to a high mileage, and more). Lastly, and regardless of the profits, Uber drivers should also take into account safety concerns, since you don’t know who you’re picking up. An example as to the potential profits may be learnt from a recent article in TimeLive about making money as an Uber driver. In the article, one driver is quoted as saying that he can make around R5,000 per week, depending, of course, on the number of people he picks up. Not only that, but on special occasions, such as New Year’s Eve, the same driver made R8,000. Tempting figures, though it’s unclear whether those numbers include the costs mentioned above or not. Besides signing up, is there anything else I should know? If you want to be an Uber driver, then there are a few issues that you’re going to need to consider. These are semi-legal issues, so they’re a little complicated, but we’ll do our best to explain them as simply as possible. Aside from being a new social service, if you break down Uber to its essentials, and in the eyes of the regulators (till now at least), Uber is a taxi service. And although you might want to just go ahead and register as a driver and start making that extra cash that you’ve already calculated on the local coffee shop napkin, you need to first understand what this actually means – legally speaking. Fact #1: During 2015, approximately 200 Uber cars have been impounded in Cape-Town alone, due to not having the correct licenses. Fact #2: your regular driving insurance will almost certainly not cover you in the event of an accident, even if someone smashed into you and even if the accident happened whilst you were ‘only’ on the way to pick up the passenger/rider – in which case, you will need to pay for your own damages, and perhaps even for the other sides’ damages (Source: PolicyGenius). Now that we know why you need to protect yourself, let’s get to the how. As mentioned, from a legal point of view, being an Uber driver is like being a taxi driver. Therefore, in order to work legally, and avoid unwanted issues, you would need to apply for the relevant licenses which include the following. Permit to operate a taxi – seeing how you will most probably be considered as operating a taxi, you will need a permit to operate a taxi which you can obtain from the Provincial Department of Transport (see How to Apply for a Taxi License for more information). How long does it take to get the permit? The application process typically takes up to 60 working days. During this period, you may be requested to submit additional documentation, and/or, be invited to a meeting with board members during the decision-making process. Once a decision has been made regarding your application you will receive a letter stating whether the application has been approved or declined along with supporting information. Professional driving permit (PDP): If you intend to drive a larger vehicle (like the 21 seater taxis) or anything bigger than the usual 5 seaters, then you will also need to get a professional driving permit (in addition to the regular driving license), as driving the larger vehicles has implications on insurance (explained below) as well as limitations regarding the amount of passengers you can take. 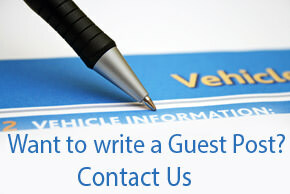 Keeping a logbook: Metered taxis must ensure that the driver keeps a logbook. This is a system that records the information from each trip that you make. In Johannesburg, if you taxi for profit (receive money for transport) you need to be a metered taxi. However it is still a question as to whether Uber drivers fall under this as there is no real ‘’meter’’ but just an app, (which you have on your phone) so drivers will just have to wait and see what is decided by the regulators or the relevant guidelines from the operating board in your area. Obviously, you if you want to play by the book, it is safest to get a meter/log-book. Valid Licence Disc – A license disc is a kind of vehicle license, which the law says you have to display on your vehicle if you want to use public roads. The license itself is a paper disc that you put in your car that proves that all the necessary taxes for your vehicle have been paid. 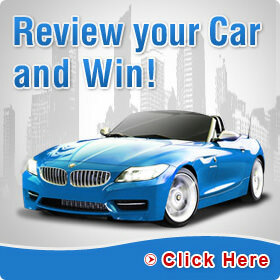 It also proves that your car has passed a roadworthiness test, so it’s mechanically safe to be on the road. As mentioned above, seeing how your driving has now become a business, you will need to change your insurance in order to be covered. If you do not get the appropriate cover, you will not be covered in the event of an accident – even if you have the ‘regular’ insurance. 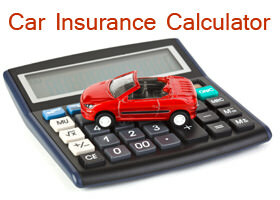 The insurance you need is insurance for commercial driving, also known as business insurance. Talk to your insurance provider, and at least one other to compare (to compare rates), and ask about options for changing your normal policy to a commercial or business policy; You can also fill in the below form and 1-2 agents will get back to you with a quote. Passenger Liability Insurance – in addition to the business insurance cover you get , it’s a good idea to have Passenger Liability Insurance as well which will cover any injuries to passengers should an accident occur whilst transporting them. In some cases, the Road Accident Fund (RAF) may play a role in the assistance of your passengers, but this isn’t guaranteed. * It is important to note that Passenger Liability Insurance is only valid if the driver is in possession of a valid professional driving permit (PDP – see above). Give me the Bottom Line: Uber is an important part of the social and technological evolution we are going through, with more and more of us depending on smart phones, apps and the internet to get things done. Wanting to become an Uber driver can be a good thing, so long as you keep in mind the following two things: (1) Assess the business value of it and (2) get the right insurance cover and licenses. No one likes bureaucracy and paper work and especially not ‘wasting’ money on insurance or fees, BUT, the effort is well worth it when considering the alternatives (impounded car, fines, compensation of injured passengers or worse: prison in the event of a serious accident). If you have experience as an Uber driver or passenger, or have any questions, feel free to use the comments section here below. Disclaimer: The views and opinions expressed in this article are those of the authors and do not necessarily reflect the official policy or position of any agency of the South African government, Organizations and/or Regulatory organs nor any Insurance or Financial services Provider operating within South Africa and with relevance to this topic. Examples of analysis performed within this article are only examples and they are based on very limited and dated open source information. Assumptions made within the analysis are not reflective of the position of any South African government entity nor any Insurance or Financial services Provider. It is the responsibility and duty of the reader to verify and validate any information contained herein and no warranties, assumptions, promises, confirmations, current validities, processes and/or certainties are in any manner, made herein.